Ok, I received my StampTV GinaK Designs stamp order yesterday and I was SOOOOOOOOOO excited!!!! Today I have a card made from the stamp set called "Sew Pretty." I LOVE this set!!! 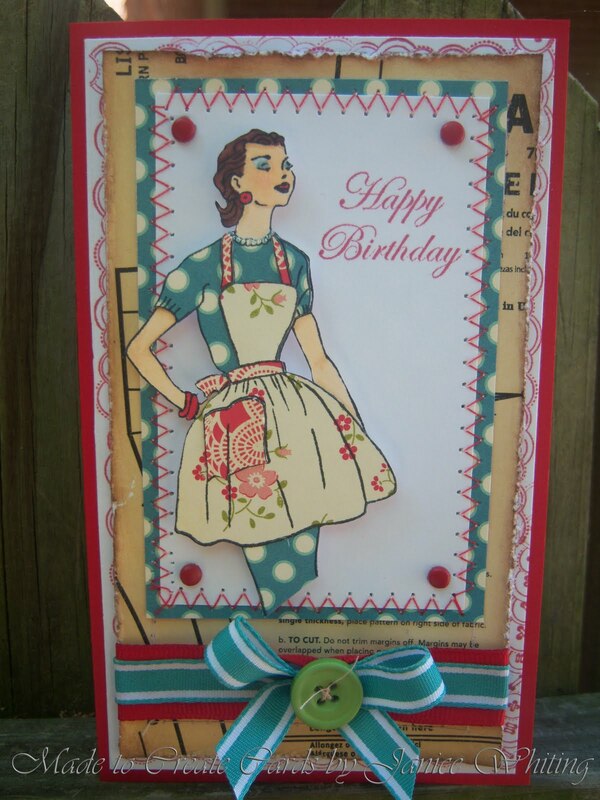 It features some fun retro sewing themed stamps. Of course, if you know me, you know I love anything crafty including sewing! Once classes end in a couple of weeks, I plan on finishing my summer dress project that I started LAST spring! Goodness! Anyway, I made this card using CPS #164 and I made it for my mother-in-laws birthday that is coming up real soon! 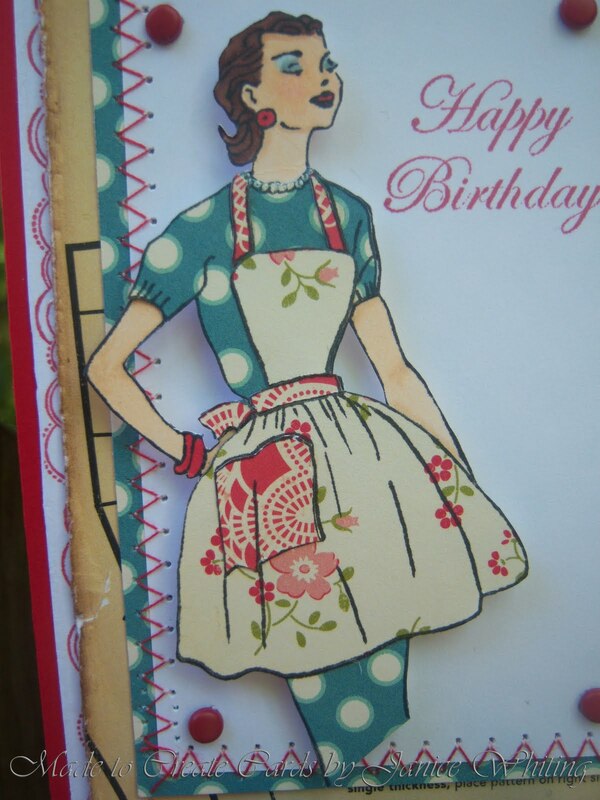 She enjoys sewing as well and I know this retro chic is going to send a smile to her face. Perfect stitching on this..great colors and design. GinaK Designs Illustrators Blog Hop!! !